(CNN) - There’s an old quote from Mister Rogers that has been circulating on Facebook since the Boston Marathon bombings. That idea – look for the helpers – is a thread that ties together so many disparate stories. (CNN) - You wouldn't think Ted Turner needs an introduction. Especially to a CNN audience. But he does. 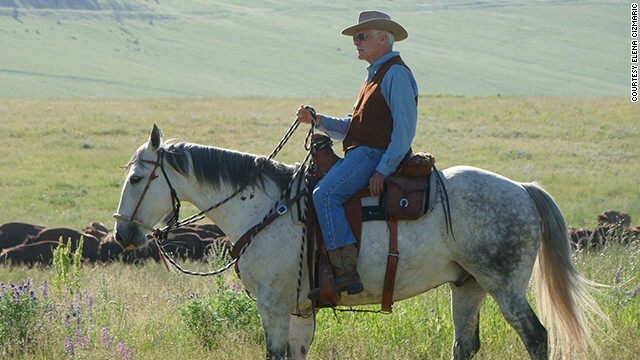 Despite Ted Turner’s fame and wealth and impact, we know so little about him. Soon after that letter, Turner’s father forced him to withdraw from Brown. Ted came home to help run his father’s advertising billboard business. Ted did not want to leave Brown. And he did not want to leave home for a string of boarding schools when he was only 4 years old. His father made him. When Ted was just 24, his father committed suicide. How could a boy, so rejected, suffering such a loss, find the inner strength to accomplish what he has accomplished?